Hai Tien Lo presents a total of 6 Yu Sheng Platters such as the Blossoming Treasures Yu Sheng with Sliced Abalone, Crispy Barbecued Suckling Pig, Deep-fried Crab Meat Sticks and Black truffle ($138 for 4-6pax / $198 for 7-10 pax) but this Piglet-inspired Yu Sheng is only available if you order the Heavenly Prosperity Set Menu that goes for a whopping $688.80 per PERSON. 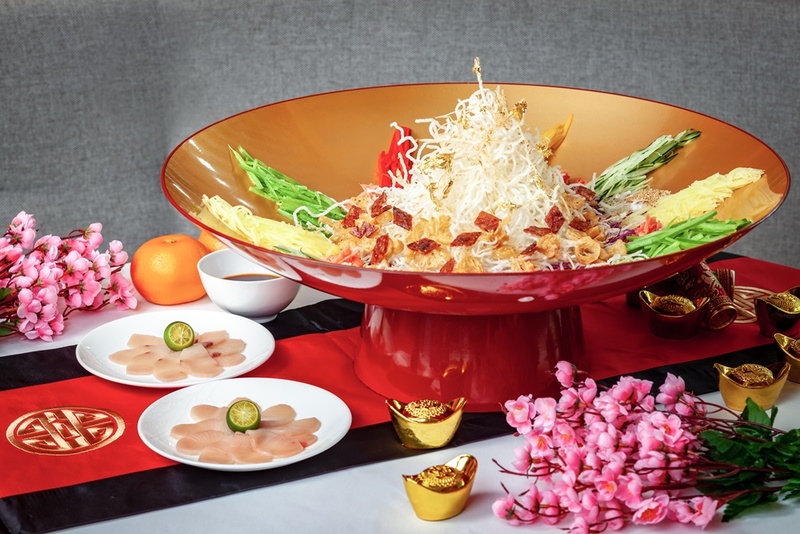 It seems like six is the sweet spot in this year of the Pig as Wan Hao offers up six types of Yu Sheng for customers to choose. The most lavish one pictured above is the Lobster, Sea Urchin, Hokkaido Scallop, Salmon, Tuna & Caviar Yu Sheng going at $268++ for a large one. If decadent is not for you, how about a vegetarian Yu Sheng with assorted fried mushrooms, at $68++ for a small or $128++ for a large? 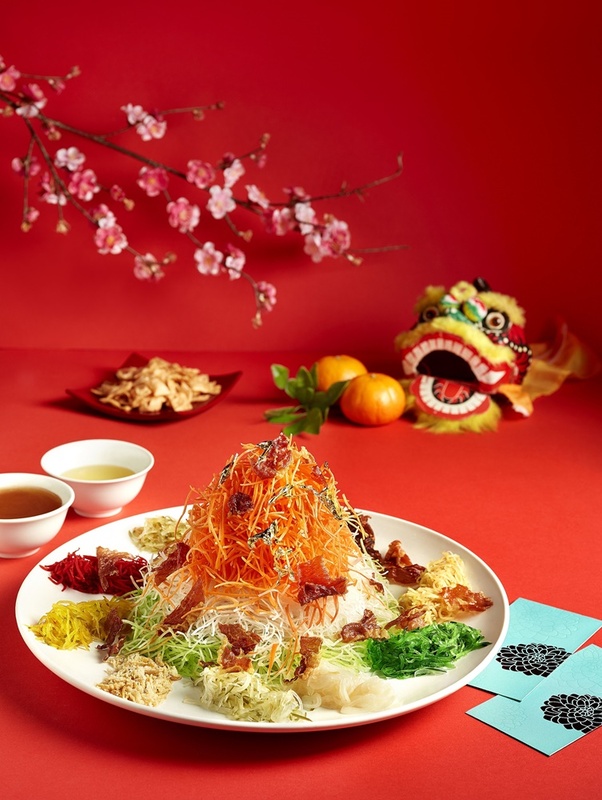 Shangri-La’s Fortune Yu Sheng comes with either lobster ($168/$298), Norwegian smoked salmon fish ($88/$148) or vegetarian fish ($68/108). Aside from the vegetarian banquet set, the lobster and smoked salmon fish yu sheng will be what is served for the set menus. No headache as to which of many yu shengs to choose from. 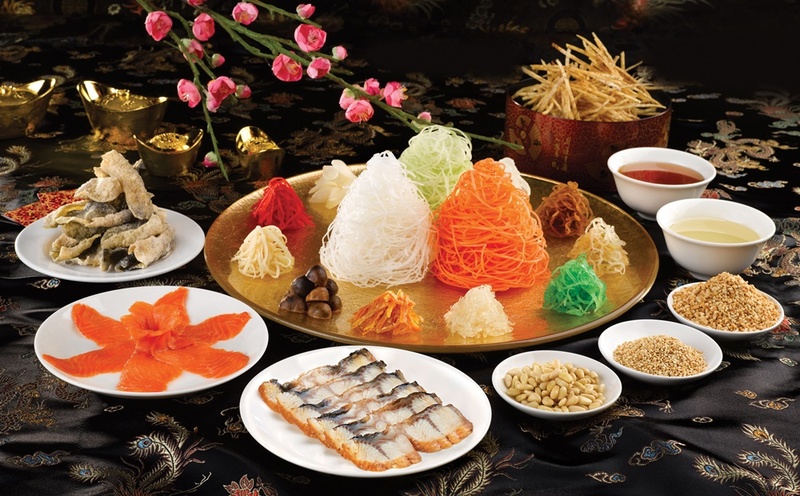 Salmon Yu Sheng and CNY delights such as roasted suckling pig, braised vegetables with dried oysters and black moss, mini claypot steamboat and fried nian gao will be available on the buffet menu at Silver Shell Cafe. If you’ve never liked yu sheng because you don’t like the taste of raw salad, this might just change your mind. 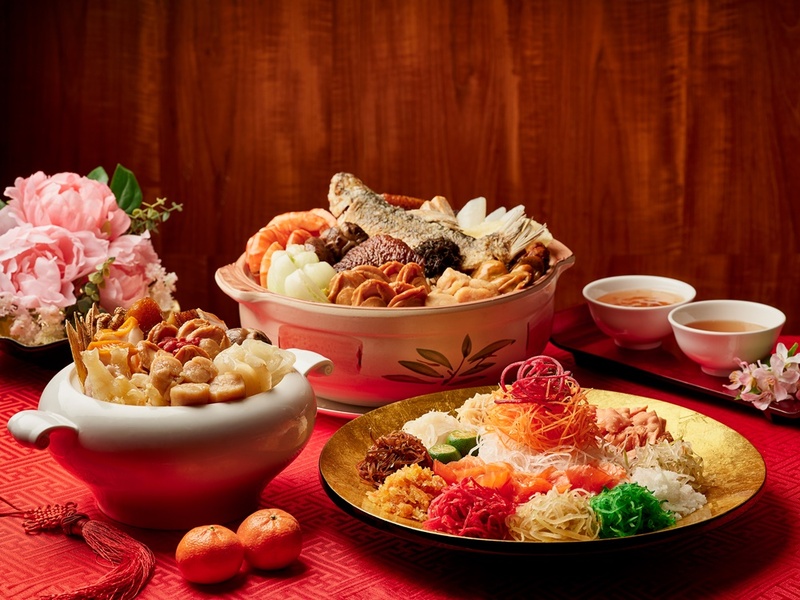 Thanks to the mountainous amount of crispy fried vermicelli, Yan’s yu sheng tastes more savoury than others. Even the yusheng sauce is of a more savoury kind. And if really in doubt, fish for the bak kwa pieces that are added. 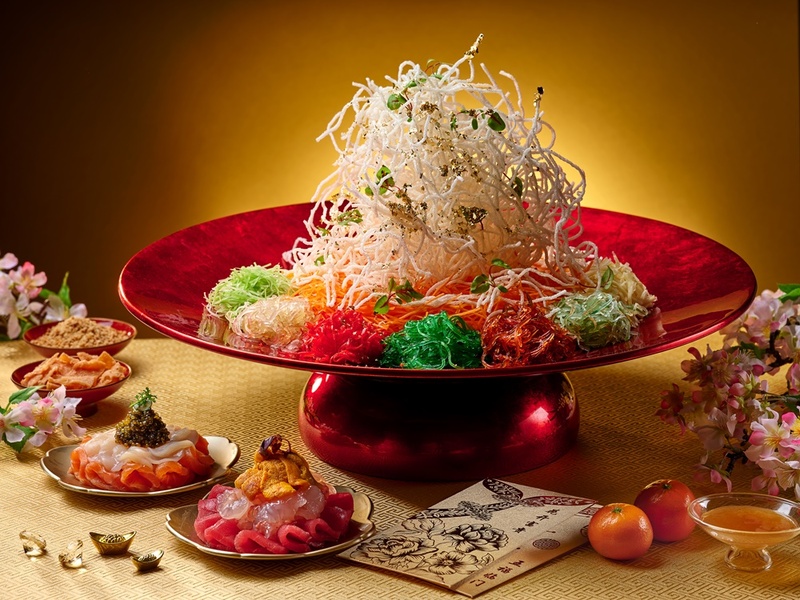 The yusheng will be available one of the courses in 6 set menus offered for CNY (ranging from $128++ to $278++ per person). 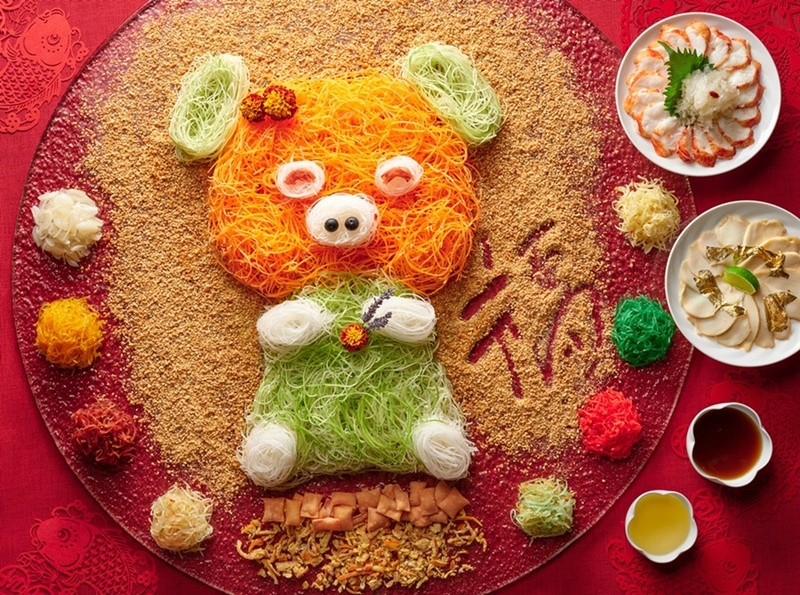 Hotel restaurants are not the only options when it comes to yusheng. Who’s to say poke outlets shouldn’t jump on the bandwagon? And for good reason too since they specialise in raw fish and salad? Well if there’s one thing, you are guaranteed a lot of raw fish if you order from Poke Doke. Check out the amount of fish cubes in that yusheng! Three sizes available, ranging from $38.80 – $88.80. You can order online too. Din Tai Fung is another fuss-free place to have yu sheng. There are many outlets all over Singapore and you don’t need to gather a huge number of people. Their standard salmon yu sheng at $32.80 is good for 2-3pax (or deluxe at $48.80 for 4-6 pax) , so you need only drag a partner or friend along to start tossing. 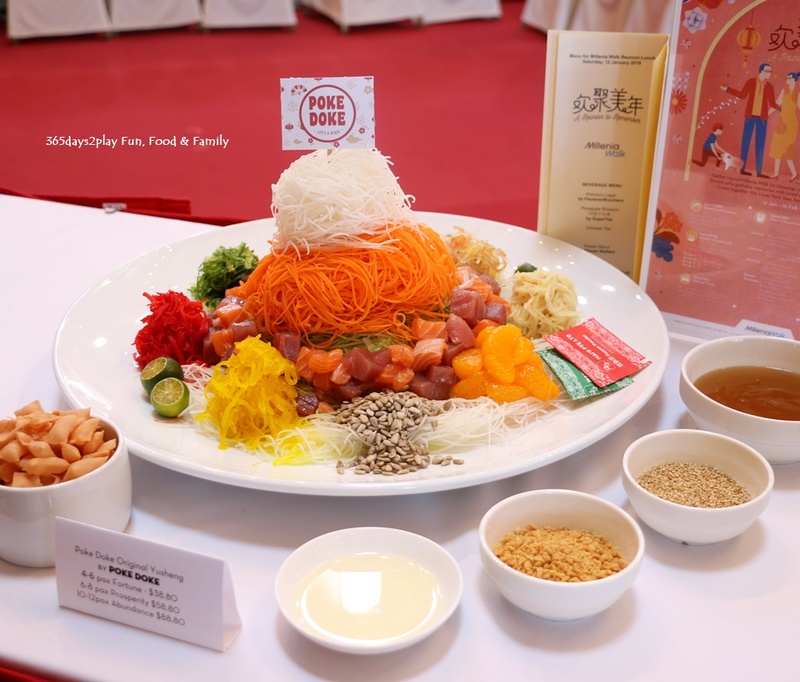 You can even jazz up the yu sheng with “top-ups”, such as fried salmon skin ($4.80), pine nuts ($2.80), smoked unagi ($9.80) etc. 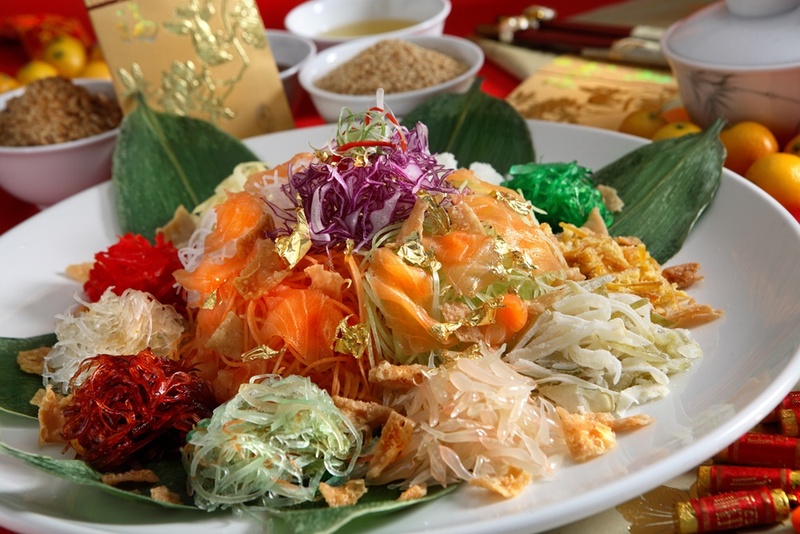 UOB cardmembers get 10% off for any purchase of the yusheng. Din Tai Fung does not take in reservations from 19 Jan – 19 Feb 2019 (both dates inclusive), so when you feel like having your yu sheng fix, just hop to the nearest outlet! My first time doing lohei at home! @Edward365’s first time too! I must say it was a very enjoyable experience. Every year we simply dispense with this tradition since it’s additional costs, but after this round I really feel like doing it again! . Scroll to the videos and have your sound up if you wanna see an ang moh preparing the yusheng, and a person with damn jialat Chinese having to say all the auspicious words. And Edward at the end saying don’t cover the yusheng! . Thank you @putien_sg for this takeaway yusheng! It was much enjoyed and we all had seconds. I had 3rds. . Enter my giveaway if you want to win a small yusheng for yourself! Scroll to previous picture a few days ago. Okay here’s a bonus number 9 option for you at PUTIEN! Go see my Instagram and do not miss out the video, especially of Edward telling us not to cover the yusheng! Baby, that’s the purpose of doing a lohei! To mess it up as much as possible!